THE INTERNATIONAL PRESIDENT’S APPEAL 2015 – 2017, SUPPORTS PROJECTS IN NEPAL WITH A FOCUS ON IMPROVING THE LIVES OF WOMEN AND GIRLS THROUGH EDUCATION, EMPOWERMENT AND ENABLING OPPORTUNITIES. Watch the presentation below, by Soroptimist International President, Yvonne Simpson. To make a donation to the 2015-2017 Appeal, please send your donations to your Federation Headquarters or contact them directly for further information. SI Assistant Director of Advocacy, Sharon Fisher explains: “Nepal is a small country. In the hills and valleys of Nepal, in small isolated villages, live 30 million of the poorest people in the world. Here, in rural Nepal educational and medical facilities are limited and many children are undernourished. With half the population under 23 years of age and around 40% under 18, many women and girls face a future largely dominated by caring for their families. The cost of tuition, uniforms and books means that education is often unaffordable and if a family has the means to send a child to school, a son is given this opportunity before a daughter. Nepal is a source country for trafficking, and girls face the danger of being recruited for the brothels of India. On April 25, 2015, a devastating earthquake followed by aftershocks displaced millions of people. Despite the huge amount of funds raised, disaster aid often fails to reach these areas where 80% of the population are locate. 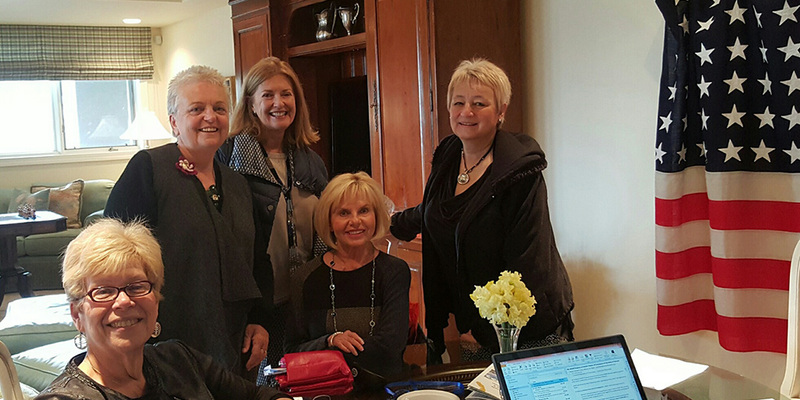 As Soroptimists, we know that in a disaster, women and girls suffer disproportionately. We also know that education for women & girls is key to economic empowerment. The world community has set a deadline of 2030 for inclusive and equitable quality education for all. Educating women and girls in rural Nepal gives this and the next generation the tools and the opportunity to fight against continued poverty. By uniting the four Soroptimist Federations, ‘Educate to Lead: Nepal’ is able impact the lives of over 1,000 women and girls in Nepal. There are many women and girls that need help – these are ‘Our women and girls’”. Following in the footsteps of Sir Edmund Hillary, the Australian Himalayan Foundation (AHF) is working to help the people of the Himalayas through improvements in health, education and conservation in Nepal. 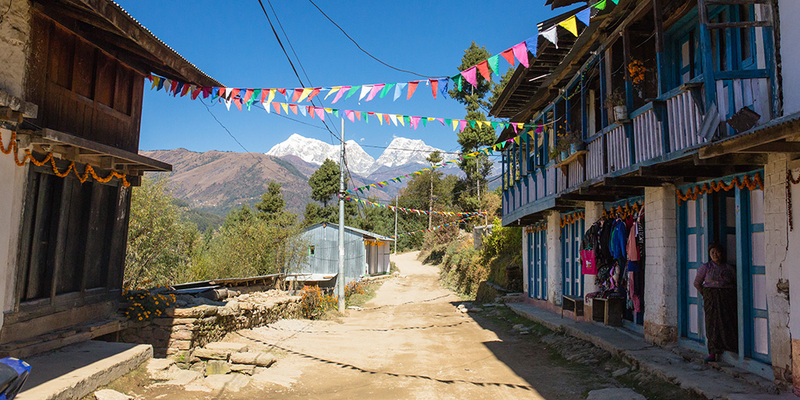 The President’s Appeal is supporting AHF in order to improve educational outcomes in the Lower Solu Khumbu (Everest) region, a world away from the popular trekking trails. AHF’s TTQE (Teacher Training & Quality Education) Programme includes support for Key Teacher workshops to fast track the most able teachers so they can train other teachers – creating a truly sustainable program, providing training for 100 teachers. Teachers, local District Education Officers, government representatives and community stakeholders will also participate in gender sensitivity training, creating awareness across the region of the gender issues in their communities. The TTQE program will also extend their scholarship program, by providing 14 girls with vocational training aimed at creating long-term livelihood opportunities and economic independence. This training would be made available for girls at a high school level, either in school or who have dropped out, providing them skills in practical trades. A series of 3 three-day workshops on gender sensitization training were organised by AHF’s in-country partner REED, taking place in April and May this year, attended by over 100 female teachers in the Sotang and Nele region of the Lower Solukhumbu. The purpose of the training was to enhance the knowledge and skills of those teachers attending, on gender equality issues in schools, with a view to reducing gender discrimination in the classroom. This training was planned in close co-ordination with the local District Education Office (DEO) and is based on the assessed needs of the female teachers attending. The gender training has proved a great success, with active participation by all of the female teachers’ present and a recorded sense of empowerment to take the learnings from the workshops back into the classrooms. Removing Barriers to Education in Nepal is a project in Thulipokhari delivered by Soroptimist International of Truckee Meadows in Reno, Nevada. Some 15 years ago, the club became familiar with the ongoing challenges of women and girls in Nepal, following an inspired presentation by Dr. Purna Subedi, who travelled from Nepal to the US as a student. SI Truckee Meadows is so well known they are referred to fondly by the village elders as the ‘American Mothers’ and similarly the club refers to Thulipokhari as ‘our’ village. Learning about the lack of educational opportunities for girls in Nepal, their initial goal was to build a dormitory and fund scholarships for girls to attend school. Girls were walking several hours to attend school and it was clear that a dormitory would allow the girls to stay at school making it easier for them to gain an education. Since then, the club has continued to make a difference to the lives of the women and girls, funding clean cooking technology, solar generated electricity, computers, sanitary toilets and guidance in the development of a governing council to manage these changes. The 900 girls that have graduated from the programme so far have gone on to influence their children and families in the village as well as raise the standard of living for themselves. With the grant from the ‘Educate to Lead: Nepal’ President’s Appeal, SI Truckee Meadows is now removing the barriers to education for a further twenty girls as they move into the dormitory for two years to attend school. Room & board, tuition, books, supplies and uniforms will all be paid; and a micro lending programme will be available to them when they finish, allowing them to start a small business. SI Truckee Meadows is so well known they are fondly referred to by the village elders as the ‘American Mothers’ and similarly the club refers to Thulipokhari as ‘our’ village. 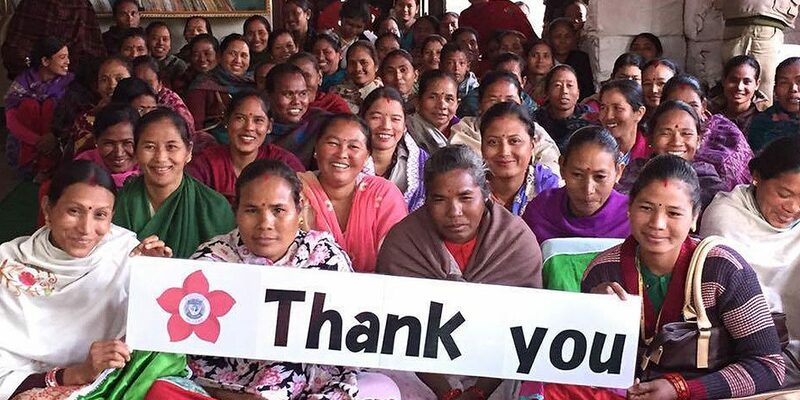 The Tharu Women’s Project is the third project chosen for support from the President’s Appeal. Also, a Soroptimist club project, this time from SI Oita-Midori, of the Japan Minami Region. Twenty years ago, the club was asked for help because the women in Tharu village were unjustly discriminated against as an indigenous minority. At the time, over 85% of the women were illiterate. Many women and girls were being abducted by human traffickers. The club built a training centre and began literacy classes, followed by other skills training to lead to income generating opportunities such as dress making and food preparation. Girls were offered scholarships for tuition and upon completion were offered micro credit loans. Now with 3 training centres, thousands of women have completed literacy courses. With a grant from the Presidents Appeal, SI Oita-Midori now also offers computer literacy classes to women and girls. With the purchase of 20 computers, delivered late 2015, 80 women and 10 teachers will be trained to use the computers during the first two years impacting on opportunities for income generation. The training will continue over the coming five years with a final goal of training 200 women.